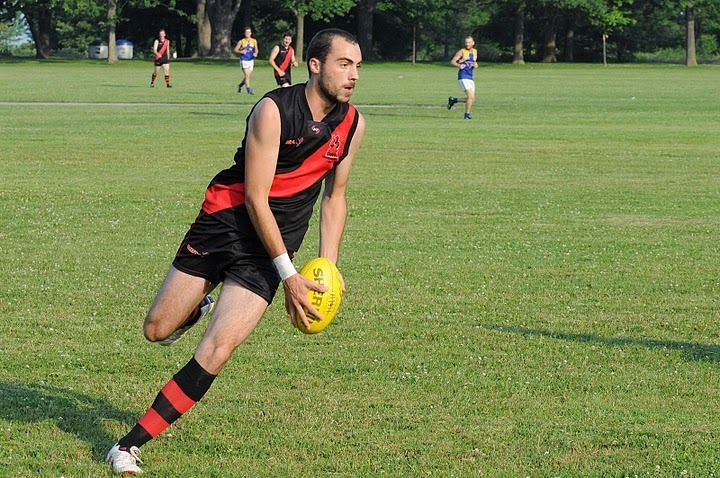 As the Dingos kick off their 21st season this Saturday, one of their Canadian stalwarts will hit an important milestone for the club. Everett "Spider" Wells will play in his 100th match, only the 7th Canadian player to ever hit that benchmark for the Red & Black. 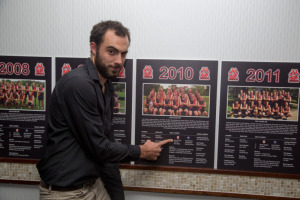 The third Wells brother to play for the Dingos, Spider joined the club in 2005 and quickly found a place across half-forward, for a while forming an all-Wells attacking line. 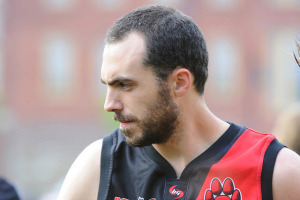 Slowed down for a couple of seasons due to a serious knee injury, Spider stayed dedicated to the club and over the years has kicked 23 goals and was named to the AFLO AllStar team in 2010. 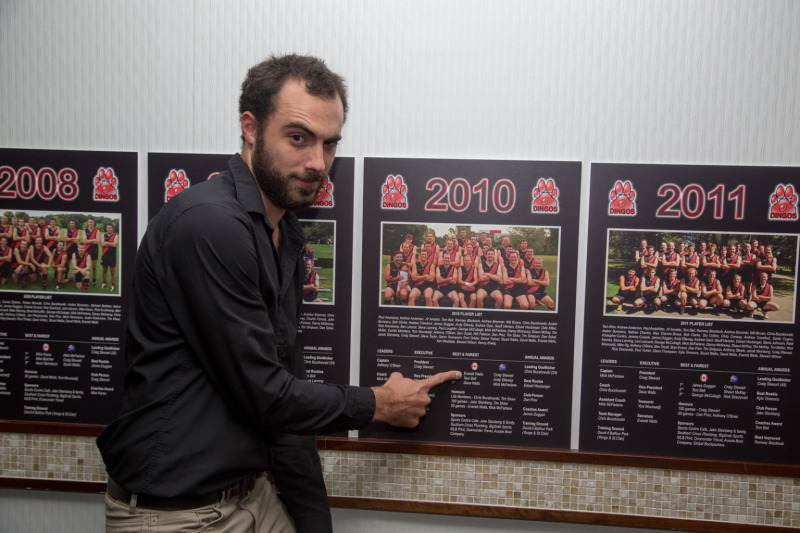 That same year he also won the Stewart Award as Dingos Best & Fairest (Can) in 2010. Off the field, Spider has been a key contributor to the successful running of the club. He has served on the Executive for 5 seasons (2011-2015) and is often instrumental in organizing social events and key events throughout the season, such as Footy Trips, Awards Nights, and the AFL Grand Final party. Congratulations, Spider, on your great achievement and we look forward to celebrating your 200th game in a few years.